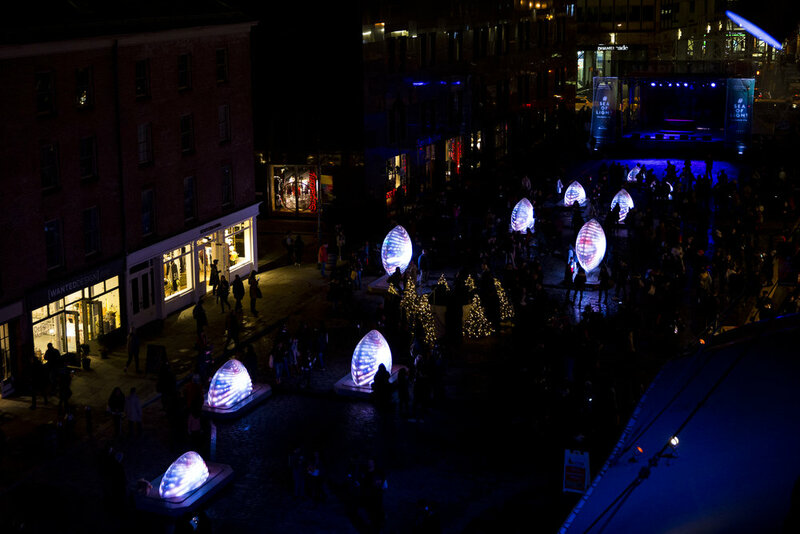 Sea of Light is an immersive sensory art and light installation activated by movement and sound. 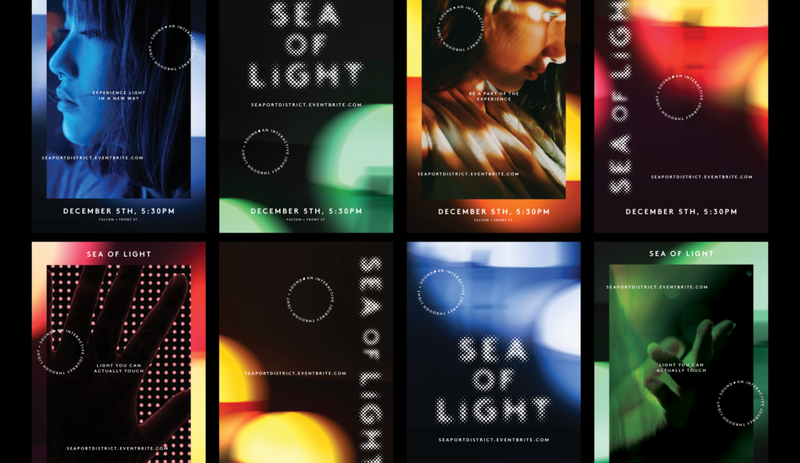 Created in partnership with Symmetry Labs, Howard Hughes Studio brought me on as a senior designer to develop the branding and collateral for the opening night festival. The branding took inspiration from the gradients and color-play of the installation itself, and formed the basis for a flexible graphic system that could house various pieces of content as needed. Under the direction of the design director, I saw the project from conception to delivery of print assets. I also pitched in on providing some art direction and story-boarding for the social videos that were produced. 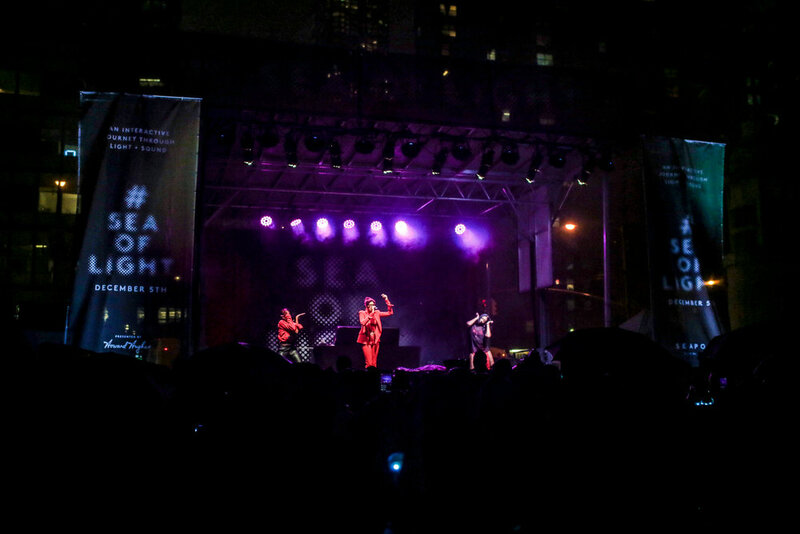 Opening night saw over 4000 participants, a special performance by AlunaGeorge, and some great user generated content. 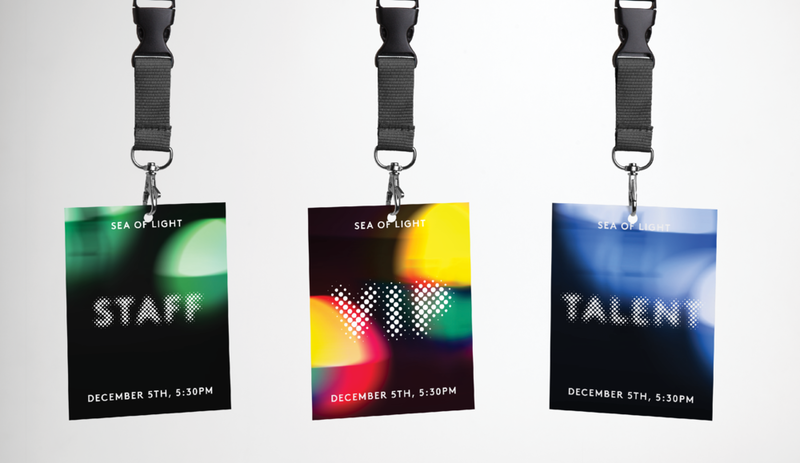 My favorite part of this project was getting to see how the audience interacted with the world that we helped create. Note: If Instagram videos don't load, please refresh the page. It's worth it, promise.